Packaging Concept > Draw the consumer into a contemplative place with visual and tactile cues mimicking shoji doors that welcome you into a Japanese teahouse sanctuary. Create an emotional connection and encourage the consumer to enjoy a thoughtful experience every time consumer opens this unorthodox tea box. Quality substrate used is meant to encourage consumer to reuse container packaging - further promoting the notion that this is a memorable specialty product. Dyno is a term for a dynamic move in the sport of rock climibing. Logo Concept > Dynamic movement of the letterforms in the logo to imbibe a sense of movement and upward progression to simulate the notion of climbing. Small graphic of a climber in the "O" letterform. Packaging Concept > Sticking with earthy tones, the packaging substrate is a thick, sturdy material to evoke strength and reliability. The triangular shoebox is appropriate for the smaller size of climbing shoes when compared to regular shoes. The triangle shape is also to evoke strength as well as ascension. 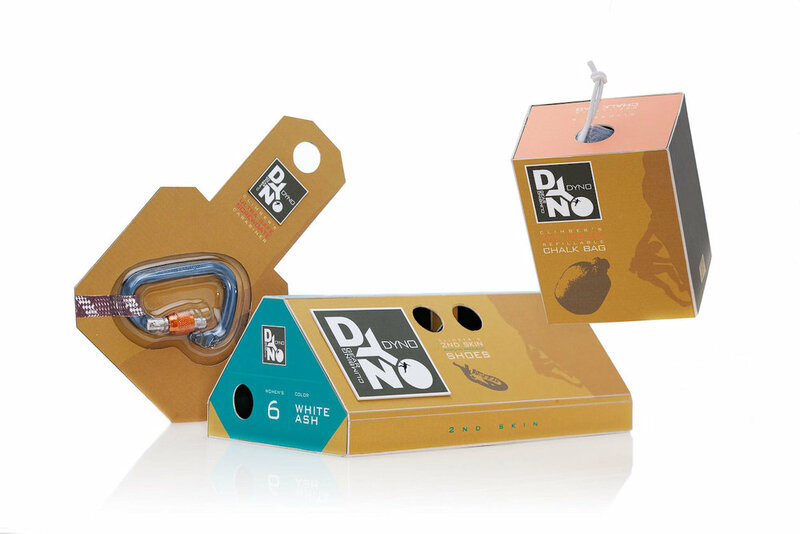 The holes are designed for easier sliding open of the box and is also positioned to resemble finger positioning of a rock climbing grasp to a hold. Logo Concept > Logo graphic's shape is based off a baby's bum shape that is rotated to create the letter "B" for Bumbina. "Bumbina" is a play on the Italian word for baby "bambina" + "bum." Packaging mockup for a supermarket brand, "Agrica." Concept > Inject some fun and personality into boring product categories by calling out quirky descriptors of actual products with a stroke of elegant simplicity. 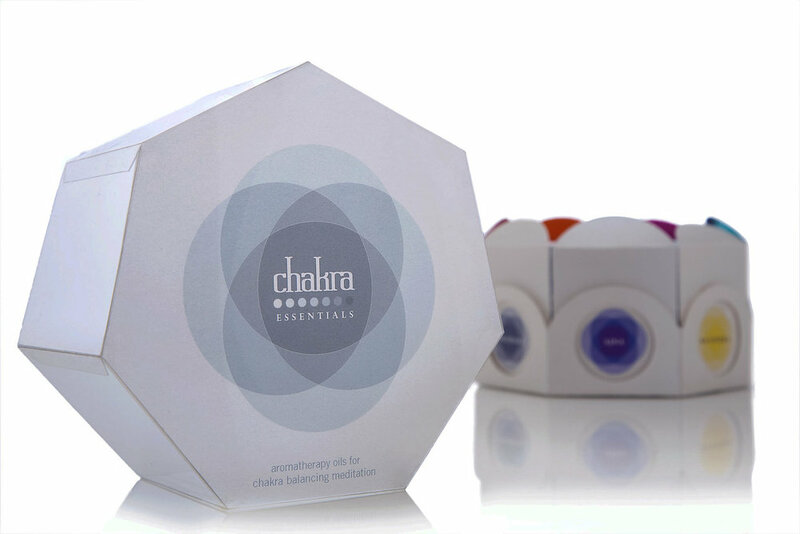 Product Concept > A therapeutic essential oils collection formulated to target specific chakras. Background > According to Ayurvedic / yoga / meditative practices, certain regions in the body (chakras) contribute to overall physical, emotional, and spiritual well-being. Logo Concept > Harkening back to the Sanskrit origins of the word chakra, the logotype is meant to resemble Sanskrit script. The 7 overlapping transparent circles around the logotype are in reference to the 7 chakras. Packaging Concept > Each individual chakra oil has its own packaging color characteristics but all 7 essential oils nest together as one whole package as well. 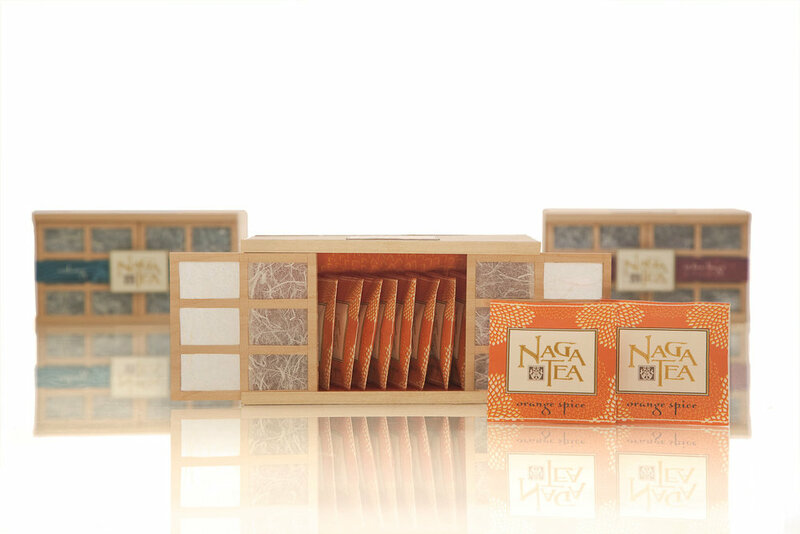 The transparent lid and the shiny substrate of the individual packages is expressive of the spiritual nature of this product category. Objective > Take a brand and translate it into a different product category. I extended the reach of the Cliffs Notes brand into the caffeinated mints category, which would still keep the brand's target consumer in focus. Packaging Concept > Evoke a fun vibe with an unorthodox method of dispensing the mints. There is an element of surprise and delight with the message once you open the "Pac Man" mouth of the container. Design > Strong ties to the brand elements of Cliffs Notes with use of the bold yellow and black colors and reference to a literary figure. Fun and energetic typography to appeal to Cliffs Notes's target consumer. Kapawi is an culturally and environmentally-sensitive ecolodge in support of the Achuar tribe of Ecuador/Peru. Product Concept > Create environmentally-conscious amenities products for guests. 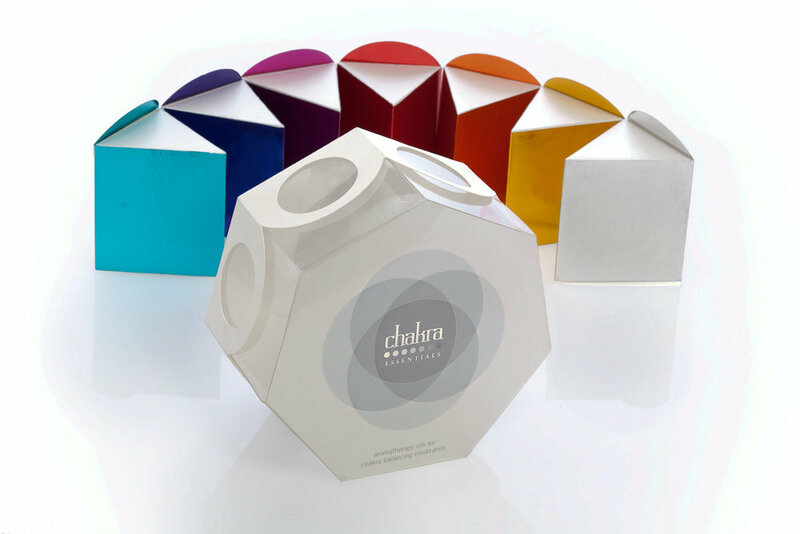 Packaging Concept > Simple packaging with a Cradle to Cradle mindset. Keeping with earthy tones and eco-friendly inks, guests will receive a simple box with Kapawi's branding on the sleeve to encourage re-use. Inside the box are insect repellent oils and hand-woven knee high socks. A book with information on the mission of the ecolodge, a history of the Achuar people, and blank pages to encourage guests to chronicle their unique experience are bound by hand and intended to be a keepsake for guests. Target Consumer > Metrosexual. Clean cut and on-trend consumer who is into quality products. Packaging Concept > Design uses an electric color pallet and is both exciting and subtle at the same time: exciting by way of broad strokes connoting artful hair movement and subtle by way of the fine detail of the blades of grass recolored in cyan. Choice of the square-shaped containers connotes a clean cut and orderly vibe that carries well with the brand identity. Packaging Concept > Design uses an electric color pallet and is both exciting and subtle at the same time: exciting by way of broad strokes connoting artful hair movement and subtle by way of the fine detail of the blades of grass recolored in cyan. Choice of the square-shaped containers and the minimal carrier case is both simple and efficient, connoting a no-fuss, clean cut, and orderly vibe that carries well with the brand identity. Packaging Concept > New design concept for "Pop Rocks" that exudes fun and character. Playful packaging is both exciting in color and invites more interactivity with the packaging that is befitting of this out-of-the-ordinary candy that is almost alien. Logo concept > Logotype visually explains the product's function of super absorbency and imbues excitement for this As Seen on TV brand identity. Color pallet is meant to be reminiscent of Pop Art with bold, bright, and exciting pops of color. Packaging Concept > Minimal packaging is a subtle way to encourage immediate use. No need to oversell product with copy, consumer just needs to use it to know the product value. Converging label "wraps" are meant to be a visual cue of a squeezing action. 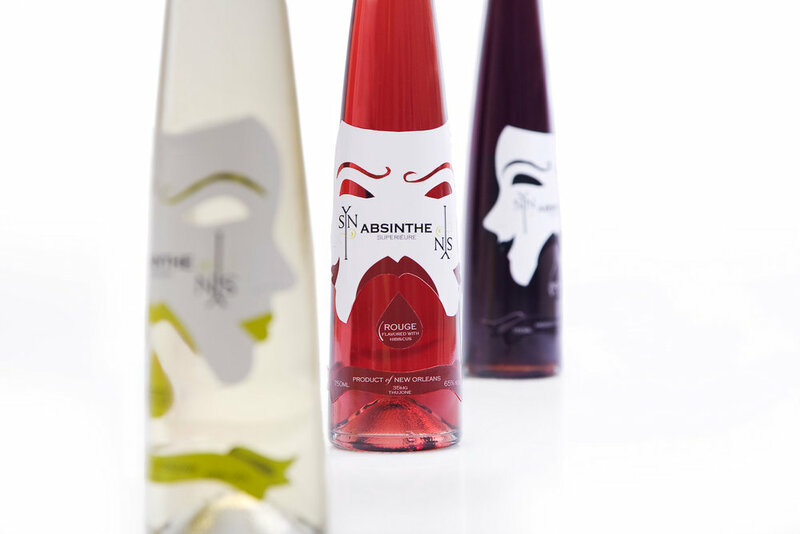 Packaging Concept > Design exudes seductive, playful, and mysterious undertones that marry well with a product like absinthe. Calling upon visual cues of Mardi Gras in New Orleans, this design concept uses bright, festive colors. The decorative line work in the "SYN" logo reminds one of the intricate ironwork architectural details of the French Quarter. Front and center is the product descriptor to evade any consumer confusion on what product is. Unique packaging design permits logo to take on almost secondary role. The primary display panel is a 3-faceted image of a face smiling, face looking pensive, and a face of fury that also ties in well with the mystique of absinthe. Packaging Concept > Fun, friendly, and colorful design that pictorially explains exactly what this new product concept is. Fun colors are both appetizing and directed to the tween market. Scalloped edges and banner description tie product to the fruit preserves' product category.